Happy Anniversary Chef Tim Foods !! 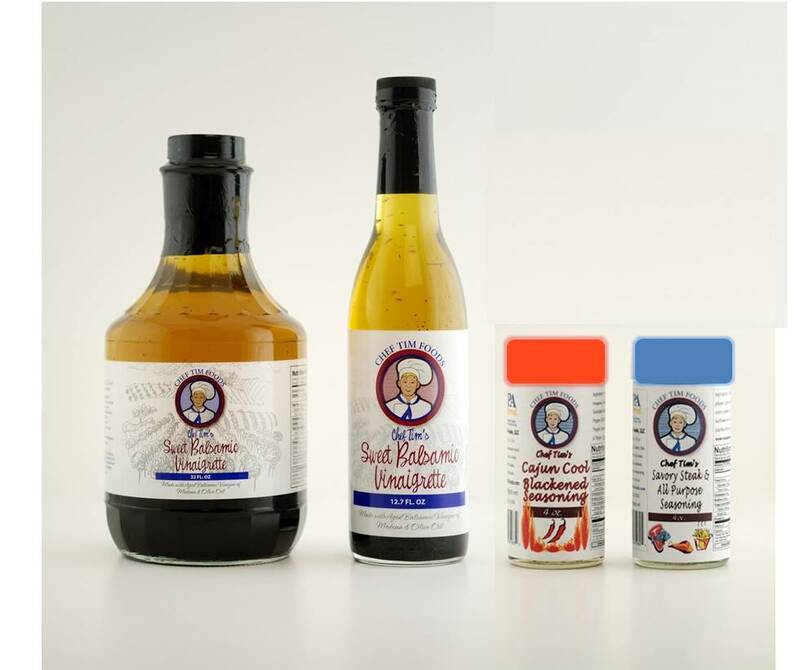 - To celebrate the Anniversary of the first day my wife, Sabrena, and I labeled and sold our first bottle of Sweet Balsamic Vinaigrette, we decided to create an online special. We're calling it the Anniversary bundle: 2 Large (32 oz) for you, 2 Small (12.7oz) to share?? ; and 1 of each Seasoning for just $40.00. Great way to sample and share of all of products. Happy Anniversary!